Locke is an elfe who feels a strange, magical longing for something that he can’t quite describe. His sylfe Picke, a fairy-like creature, dares him to follow a band of bloodthirsty warriors into the woods, promising they’ll lead to the thing Locke longs for. Mustering his courage, Locke takes the dare, and the two of them find themselves on a wild adventure. 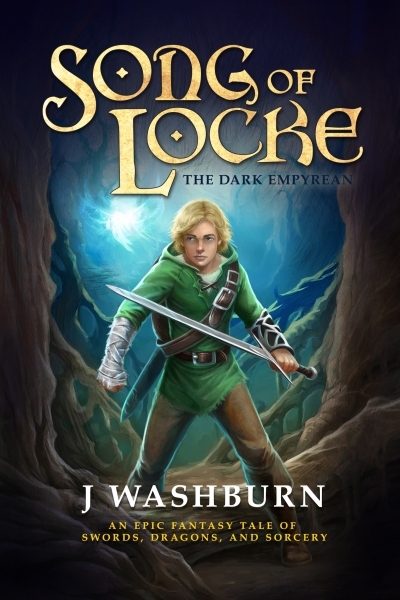 Soon Locke must face snarling wolves, wield a magic blade, and risk his life to rescue a goddess—a girl he hardly knows but who he can’t stop thinking about—from the clutches of a fallen god.